This old farmhouse, originally more modest in appearance, was first owned by Antoine Paradis, who gave it to his daughter as a dowry when she married Rémy Michaud in 1828. It was also at this time that it was moved on huge wooden rollers to its present location. With a family of 16 children, the Michauds were obliged to enlarge their house. When tourists began coming to the region, the entire family moved into the smaller house in the spring, leaving the big house to city folk in search of fresh air. As of 1898, Georges Vanier, future Governor General of Canada (1959-1967), spent some of his summer holidays at the Michaud home. 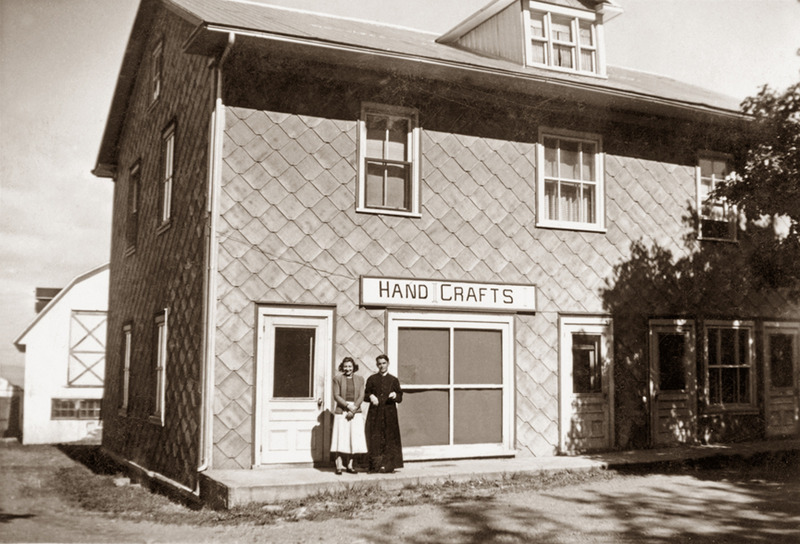 In 1905, Ulric Michaud inherited the family farm. He also took up politics, giving his speeches from the balcony of the small Victorian tower which he had built, above which the flag proudly flew. 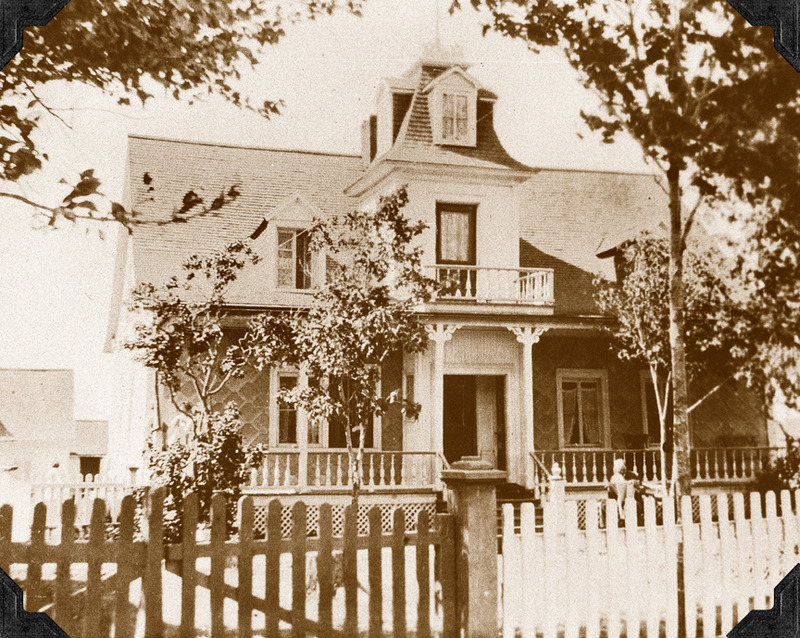 Five generations of the Michaud family lived in this house over a period of 150 years. In front of the store «Art paysan chez Carmen», Father Jean-Louis Michaud accompanied by a neighbour, around 1955. 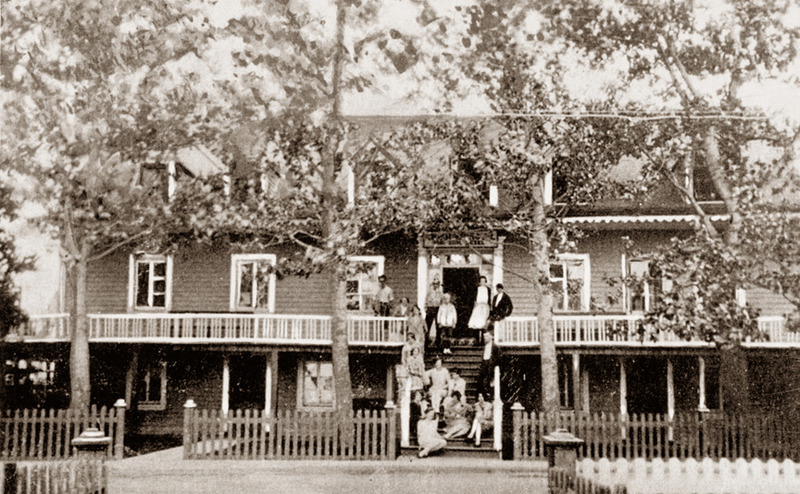 During the 1930s and 40s, the Michaud family ran the Restaurant de Touristes on the ground floor, and from 1929 to 1933, the second floor was used as a community hall. Many theatrical events were held there before a new parish and community hall was built near the church. Cacouna House, a temporary house-hotel built by Adolphe Sirois in 1861. Every summer, vacationing families gathered in Cacouna. Friends and relatives, accompanied by their servants, came together to spend part of their holidays on the shores of the St. Lawrence. The town’s largest homes were much sought after to lodge all these visitors. 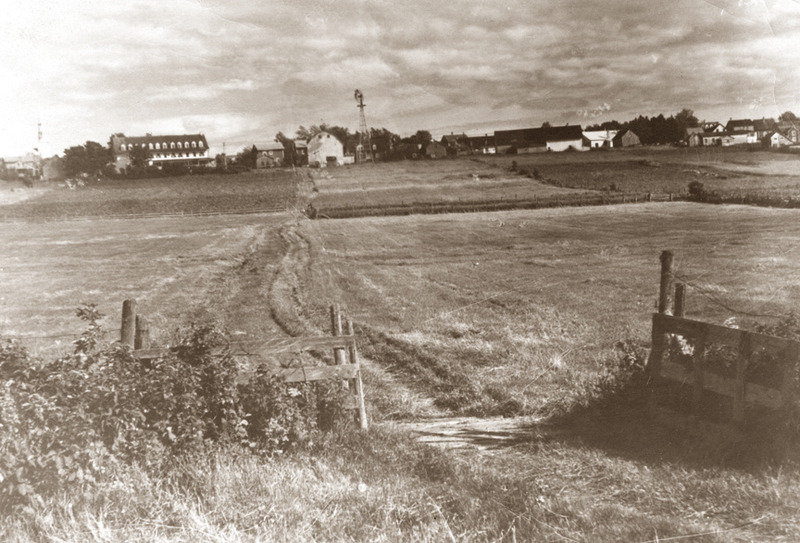 Field of the Michaud farmland, early 20th Century.